Pinnacle - The Peak - The Summit - A Local Landmark - In Short - The Best! 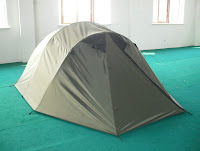 Wecome to the Pinnacle Tents brand blog. A place for everyone to share those memorable campfire stories and all around experiences in the great outdoors. Tell us about your experience with our tent products and we will share some stories about helping others and new tent design projects that we are working on. Well, we have been quiet for a while busy with some new pop up tent design ideas and pop up tent improvements in our prototype tent shop and are ready to introduce them to the market. A new pop up tent that we are excited to introduce is our pop up, self opening tent series XP4000 in 2, 3, and 4 person sizes. See Details . 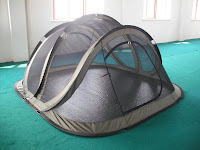 These tents spring open in 3 seconds and have walls and roof made of fine mesh screen for great ventilation. To top it off we cover it up with a full, highly waterproofed rain fly with a large vestibule front and back. Simply toss the tent out to open it, toss the rain fly over it and stake it all down and you are done. Of course on hot, clear days you can use the tent without the rain fly and enjoy the full ventilation of the screening and do some star gazing. For versatility, the rain fly for Pinnacle Tents brand XP4000 series tents will be compatible with our XP3033 series tents so you can upgrade your XP3033 series tent to a 4 season tent whenever you choose. 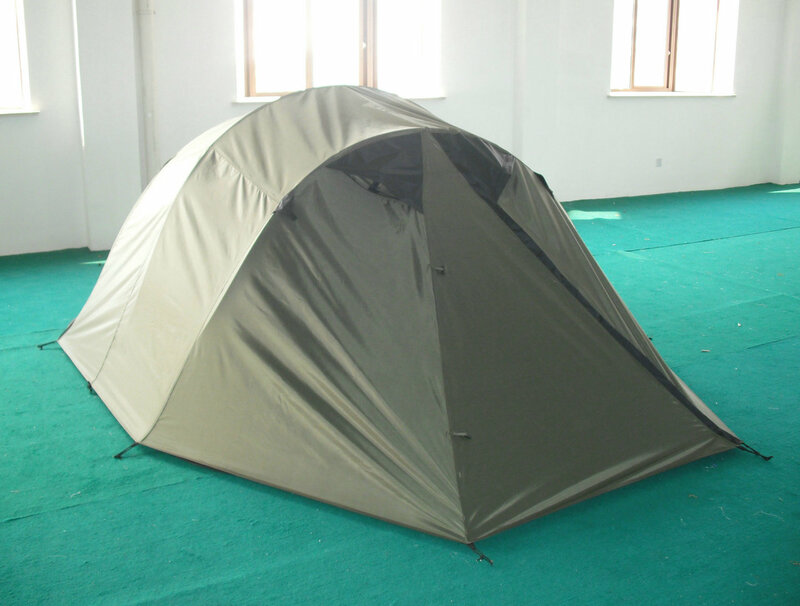 As always, we use the best tent materials such as zinc plated spring steel for an unbreakable frame and high quality polyester fabrics. Please leave us a comment on what you think since your suggestions drive our future products and enhancements. Pls post a video of how to take down the 3 or 4 person pop-up tent. We have been struggling all afternoon! I like this whole concept for my house deck in Maine. But I'd want one to have a center height of 72' so I can place my patio 40" table in there. It can be used as tent or fantastic screen house to view nature in day and starry night. If it looks like rain, up goes the rainfly to keep all itmes dry until we're out there. As it is this looks like a fantastic camping product.. but as I wish for something a bit more in height. It's the entire screen that intrigues me to no end. Dang. Just one more note: I wanted a floor in my screen room due to 'squits and ants,' plus the screen to view night sky. I onced bought a screen house w/o a floor... bugs were regular visitors via the bottom. Never again. It all started when an interest, or a hobby if you will, turned into a passion for living life. Connecting with nature, the source of all matter, allows one to come full circle and be attuned to the gifts that each of us is given to create the existence that fulfills us. Camping is more than just a place to go, it is an experience that allows all to be. I will be sharing camping experiences, different tent uses and designs and I hope you will offer some of your tent camping tales so that we all can view a moment in time of our collective stories.